This Memorial Day Weekend, Get Grilling in the Feed Zone! We believe that grilling up dinner in the evening with a cold beer in hand shouldn’t be just a rest day luxury. And what endurance athlete wouldn’t prefer to be outside than in the kitchen? The Feed Zone Cookbook makes enjoying summer easier with many recipes that you can fire up in the great outdoors. Here’s a sampling of great Feed Zone dishes that will be fun and easy to prep on the grill with your favorite brew in hand. If you don’t have the book, try out a few of the book’s 150 athlete-friendly dishes from the sample recipes linked below. GRILL UP SOME LUNCH AND DINNER! Pork Green Chili (p. 181) | We don’t need no stock pot. Grill it! Strawberry Chicken Salad (p. 187) | Instead of shredded chicken, grill it and slice thinly on the bias. 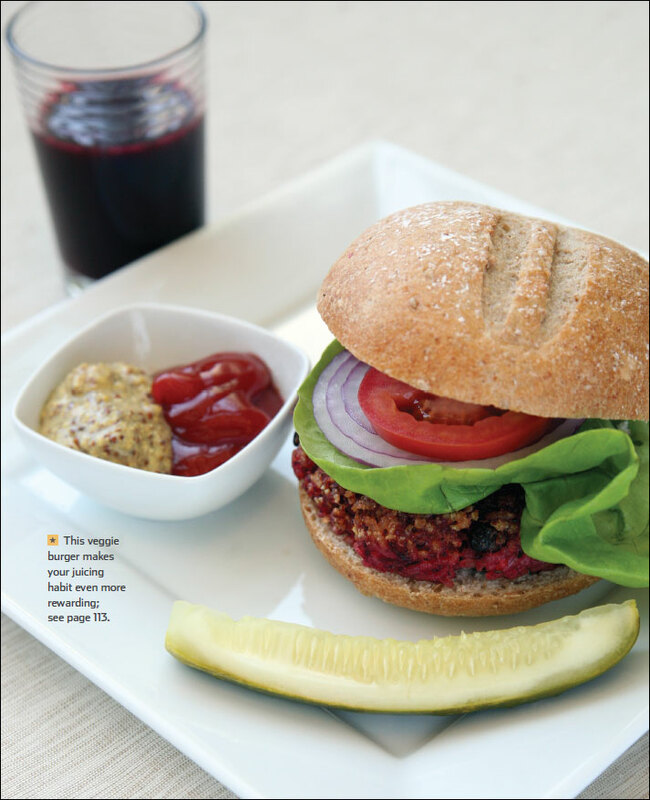 Veggie Burgers (p. 213) | Try the version on p. 213 or Biju’s Memorial Day Weekend version here. 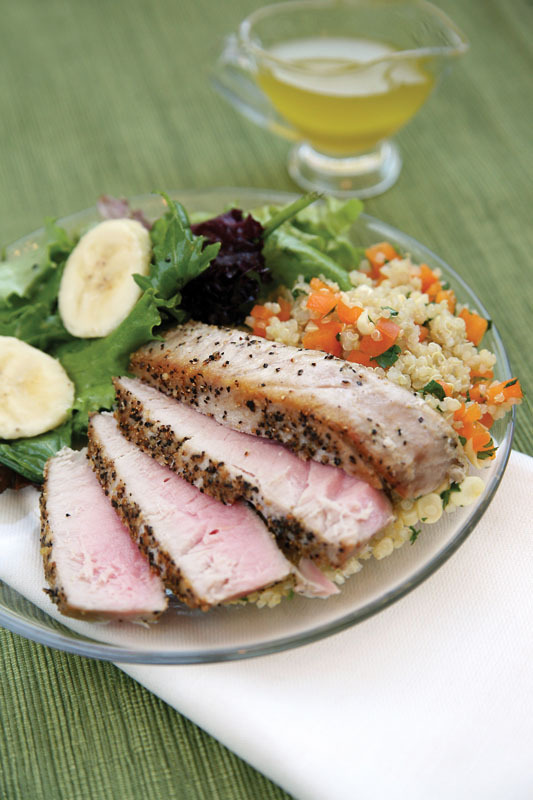 Seared Ahi (p. 221) | Absolutely delicious on the grill. Pan-Seared Sole (p. 222) | Preheat a skillet. 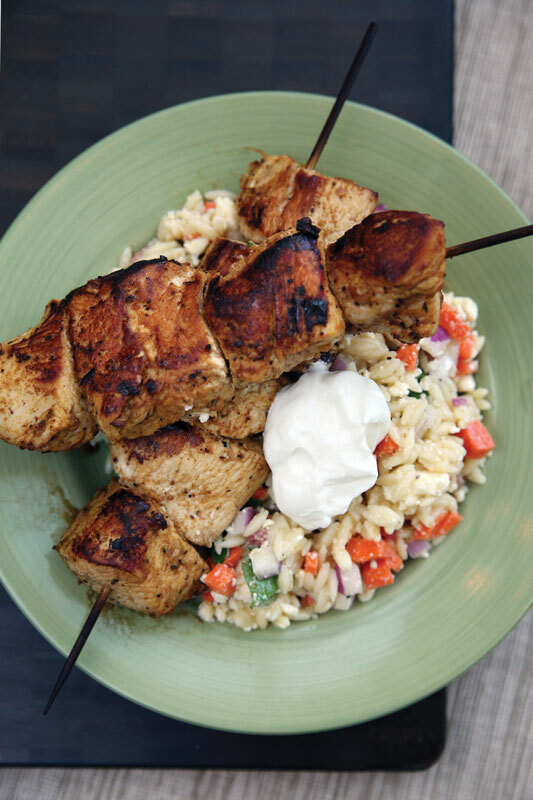 Grilled Chicken with Summer Orzo (p. 230) | Our test kitchen enjoyed this dish even more with a little extra garlic. Pork Loin with Peach Chutney (p. 243) | Bonus: Try this recipe with pork chops instead. 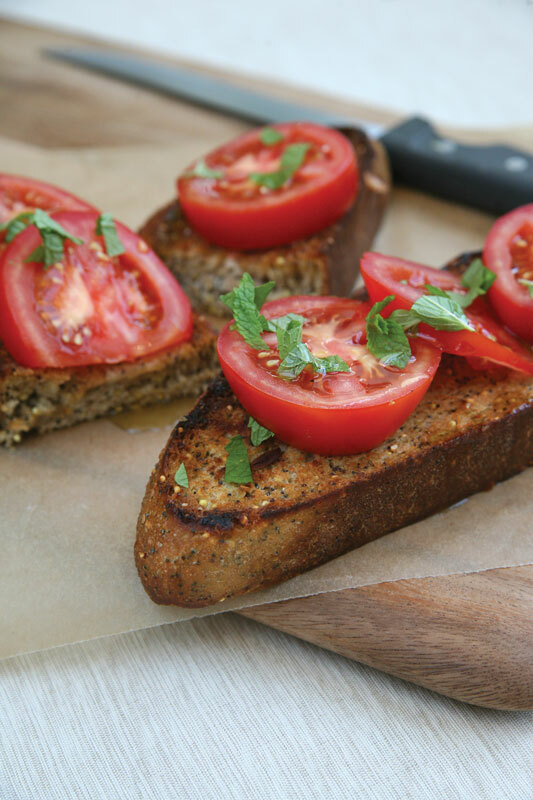 Tomatoes on Toast (p. 117) | Bonus: grow the tomatoes! Spring Pea and Herb Bruschetta (p. 119) | Bonus: grow the peas, basil, or thyme! 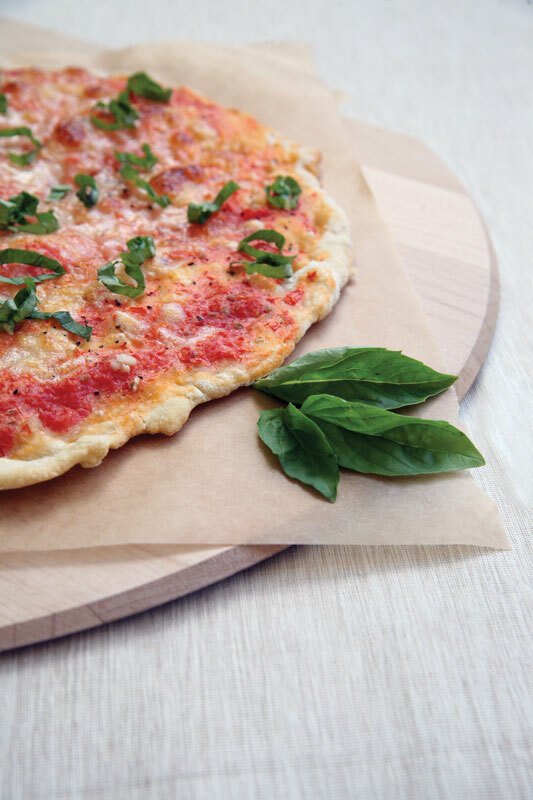 The Feed Zone Cookbook includes 150 everyday recipes for athletes. Each breakfast, lunch, and dinner recipe is simple, delicious, athlete-friendly, and easy to prepare. 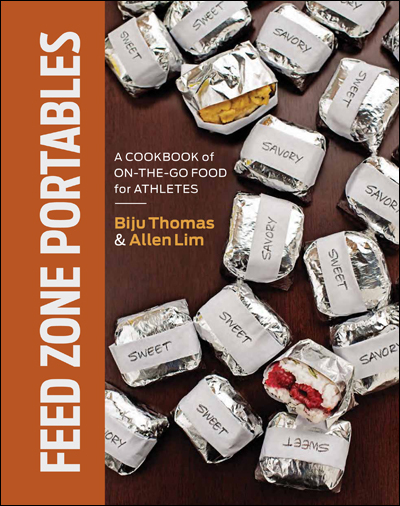 Feed Zone Portables, offers 75 all-new portable snack recipes that taste delicious during exercise. Fuel your workouts with real food rice cakes, two-bite pies, waffles, and other tasty snacks. Get into the Feed Zone! Find The Feed Zone Cookbook and Feed Zone Portables in your local bookstore; bike, tri, or running shop; or from these online retailers: VeloPress, Skratch Labs, Amazon, Barnes & Noble, Chapters/Indigo, local booksellers, e-book editions for Apple iPad.